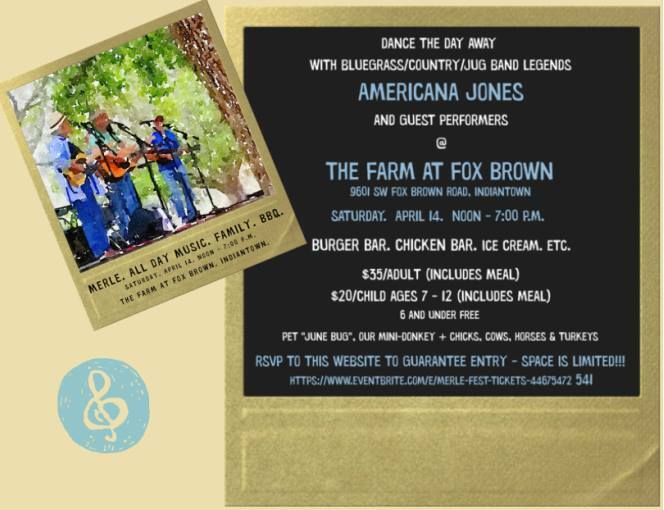 Live music honoring Merle Haggard by local band Americana Jones and guest performers. Food and fun for the adults and children. Bring the kids to see and play with our farm animals. Immerse yourself in Old Florida…Mere minutes (but years) away from the coastal hubbub.